Description Yay! 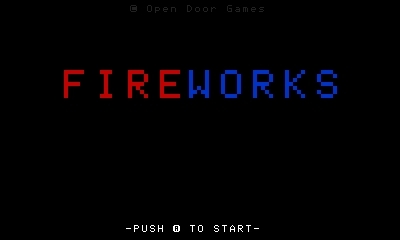 Welcome to 'FireWorks', my first full game! It's a simple arcade style game, I think it's best just to try it rather than describe how it's played. It's very simple. Any suggestions or criticism is welcome! 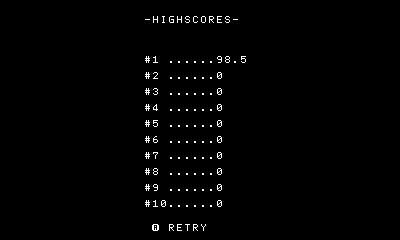 I'm sure someone can beat my high score! Instructions Very simple, use the A button. However there may be other controls? 4 Comment(s) Krondelo 3 years ago Thanks Elzo, I actually considered it but it seemed pretty simple color wise. I had a really good idea though to make it more suitable. 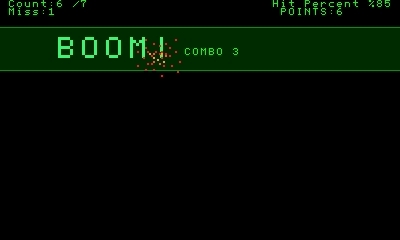 I was thinking about having different colored fireworks, each coded to a different button and you can only detonate with the correct button. Unfortunately, the code isn't all that modular so it's a bit of a pain to implement. ElzoBro First Day Joined on the very first day of SmileBASIC Source Website Video Games I like to play video games! Hobbies Drawing I like to draw! Hobbies 3 years ago You could add this to the contest really, the FireWorks are so colorful! Krondelo Edited 3 years ago I decided not to show them as I wanted the gameplay to be a surprise. I added one, it's from an older version but it's the same really. Yttria Head Admin 3 years ago where the gameplay screenshots at.